The Barracuda Cloud is the first ecosystem that leverages on-demand cloud computing to simplify data security, storage and IT management. Our cloud is a complementary component of all Barracuda products, providing an added layer of protection and scalability. You have the option to choose how much of the Barracuda Cloud capabilities you need while keeping on-premises control over your digital information. Run in the Cloud or On-Premises? You Decide! Whether you use our onsite physical appliances, virtual appliances, or run our solutions on Amazon Web Services and Microsoft Azure, you can utilize Barracuda Cloud. We also offer Software as a Service (SaaS) options for our email and web security, file sharing, and electronic signature solutions. Barracuda security solutions include subscriptions to Barracuda Central, our global operations center that continuously monitors the Internet for network threats and delivers solutions to you real-time. In addition to protection from rapidly evolving threats, we also deliver product upgrades via the cloud. These services ensure that your networks and data are secure and our innovation is constantly performing for you. Barracuda uses the power of our elastic cloud to offload CPU-intensive tasks of web content filtering and email content filtering, stopping many threats before they hit your network. The Barracuda CloudGen Firewall X-Series, for example, is specifically designed for fast and low-latency on-premises network security, intrusion protection, application control and secure remote access. It leaves the processing intensive content security functions to the cloud, so you don't have to sacrifice network performance for security. The Barracuda Cloud provides a global infrastructure for secure storage of business data all of your important files, electronically signed legal documents and emails. By connecting your Barracuda Backup appliance to the Barracuda Cloud, you get automatic offsite backups in addition to your on-premises backup. Barracuda Message Archiver extends this protection, providing cloud and mobile access to emails if your email server is unavailable, or if mailboxes reach capacity limits. Barracuda Cloud Control is a web-based portal that lets you manage all of your Barracuda products and services from a single interface with minimal IT overhead. You can centrally manage your data security policies, view all of your devices and access reports from any location over a secure Internet connection. Ensure Performance. 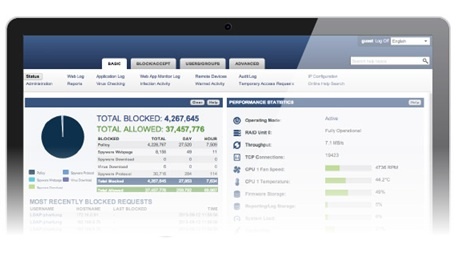 Offload resource-intensive security tasks such as email and web content filtering to the cloud. Ease of Use. Remotely access your data, monitor your network and configure your security policies, even if your data center is down. Added Layer of Protection. Automatically get a secure, offsite backup of all of your business data including emails and signed contracts. Block attacks before they hit your network or website. Cost effective scalability. Our global cloud lets you quickly and inexpensively scale your protection as your business needs grow. Barracuda Cloud Storage is available through either a subscription plan or by purchasing Unlimited Cloud Storage. You can enable offsite vaulting which leverages Barracuda's Cloud Storage service to offload up to 12 monthly and 7 yearly revisions to strictly cloud storage, freeing up disk space on your local Barracuda Backup Server. There are no data transfer fees, for example, PUTS, GETS, UPLOAD, DOWNLOAD, with Barracuda Cloud Storage for both the Cloud Storage Subscription and Unlimited Cloud Storage. Cloud Storage subscription - Barracuda Cloud Storage subscription plans provide diverse offsite storage options that scale to meet your changing data requirements. Storage plans are purchased in 200 GB increments and are all disk-based, allowing you to scale up or down depending on your organization's needs. Unlimited Cloud Storage - Unlimited Cloud Storage allows you to store all of your content without having to manage storage usage limits. Unlimited Cloud Storage is limited by the maximum capacity of the appliance. Replication from box-to-cloud and box-to-box is simply a mirror of the data backed up on the source, with the exception of offsite vaulting. If offsite vaulting is configured, it is possible for more data to be stored in the cloud or on another appliance configured as a replication target. Keep in mind that data replicated to Barracuda Cloud Storage or to a secondary appliance is stored in a compressed state so the actual usage is less than what is stored on the source appliance. Unlimited Cloud Storage mirrors content offsite based on your retention policies. As noted above, you can enable offsite vaulting to purge data from the local cache.